Which Zephyr Character Are You? It's Saturday night. What are you doing? I'm at home playing guitar. Maybe I'll record something later. I'm trying to get into a frat party. I'm out having fun with my mates. I'm sitting at home listening to records and remembering the good old days. Pick the characteristic that best describes you. Man, I don't know. Something that makes money. Nothing, I'm never growing up. A sloth, because I can't be bothered. A sparrow, for my free spirit. An owl, for my intelligence. A fox, for my cunning. An otter, for my sense of fun. Congratulations! You are April. You're independent, strong-willed, and an artist at heart. You don't need anyone to tell you how to live your life. You're the mind behind the music! Go to zephyrmovie.com/story/ to learn more. You're Greg. You want to fit in, but you don't always make the best choices in order to do so. You could be a good kid if you wanted to be, though. Congratulations! You're Connor. You're a natural leader and quick on your feet. Sometimes your ideas aren't the best, but you have the charisma to see them through. You're loyal to your friends and they are loyal in return. Congratulations! You're Izzy! You're smart and sly, always up for a new adventure. You stick with your friends and know how to get what you came for. You're the Banshee. You're living in the past and could use a new hobby--or a therapist. Congratulations! You're Alec! You take life as it comes and can find the joke in everything. Humor is your best asset, and sometimes you let your carefree way of living get you in trouble, but you can count on your friends to help you out. You're Rod Ben! You stick with what you know and hold on to your dreams, but maybe it's time to find a new dream. You're not getting any younger. Find out which character from the upcoming indie movie Zephyr suits you best. Want to learn more? 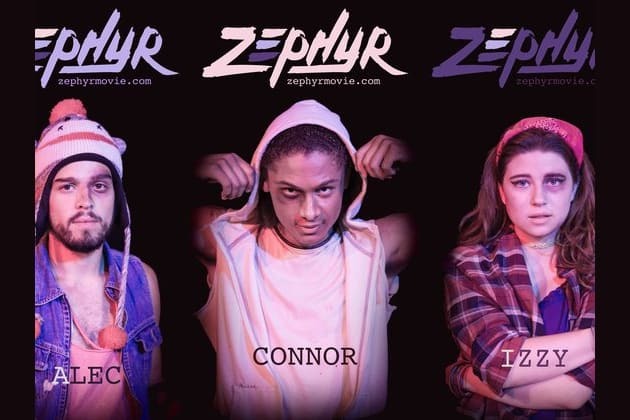 Go to www.zephyrmovie.com!